Frank Butch is the Director of Engineering with Sonoco-ThermoSafe. He has over 15 years of experience in engineering while applying finite element analysis and data driven management. He is responsible for new product development, thermal design and testing. 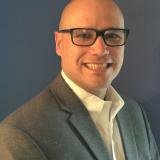 Mr. Butch graduated from Drexel University with a Bachelor of Science Degree in Mechanical Engineering and Mechanics with concentrations in Manufacturing and Thermal Fluids. He went on to receive an M.S. in Mechanical Engineering and Mechanics with a concentration in Mechanics also from Drexel University. His work in manufacturing has included many aspects including production, testing, quality and design engineering.